CDC estimates reveal that approximately one million Americans suffer from a chronic, debilitating and complex disorder known as Chronic Fatigue Syndrome. Though seemingly tiny compared to the total US population, this disorder’s prevalence shouldn’t be underestimated, especially since it affects more American citizens than multiple sclerosis, lupus and several forms of cancer do. Despite the fact that researchers and clinical practitioners have been attempting to unravel the mysteries of this disease, there is still little that we know about what causes chronic fatigue syndrome and how to manage and treat it. It’s difficult to find a definition which accurately portrays this disease without disregarding the level of impairment that patients feel. As compared to other illnesses which medicine can objectively quantify by using precise biochemical measurements or different medical imaging scans, chronic fatigue syndrome is a much subtler ailment. 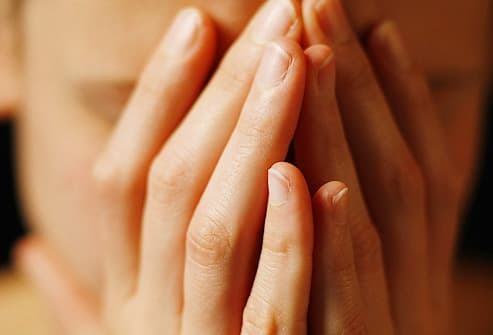 Chronic fatigue syndrome (also known as myalgic encephalomyelitis or systemic exertion intolerance disease) represents a complex syndrome of medical symptoms and signs, characterized by long lasting (at least 6 months) fatigue which is both unexplained and debilitating, impairing the patient’s ability to perform daily activities. The fatigue that patients refer to is not caused by extreme exertion and cannot be relieved by rest. Chronic fatigue syndrome often involves additional symptoms and its management involves complex treatment plans, including individual symptom treatment, cognitive and behavioral therapy as well as graded exercise programs. 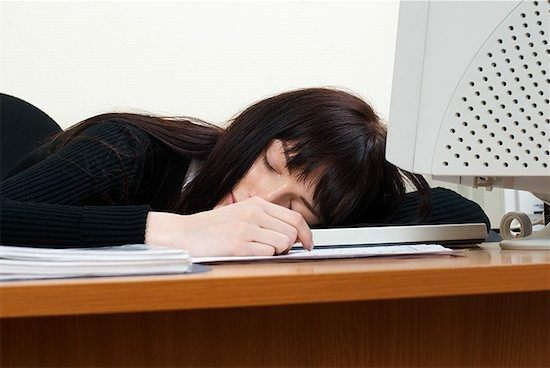 The cause of chronic fatigue syndrome, though thoroughly researched, is unknown. Scientists have investigated biological, infectious, psychological and genetic causes, yet even so, the cause eludes us. Certain theories suggested that Epstein-Barr virus infections, candidiasis, CMV (cytomegalovirus) infections and Lyme disease were prime candidates in the ailment’s appearance. However, these theories have been disproven. Research suggests that there are gender-specific differences in the occurrence of the illness, as women are 4 times more likely to be diagnosed with CFS than men. Unsurprisingly, CFS tends to affect adults and not children. It occurs most often in people aged 40 to 50. CFS is as common among African Americans as it is among Caucasians or Hispanics. There are no prevalence differences with regards to ethnic or racial groups. Though it may occur among members of the same family, no definitive genetic pattern has been definitively identified. Other relevant factors such as immune system abnormalities (including specific antibody abnormalities such as IgG- Immunoglobulin G levels) are also insufficiently consistent and cannot be considered reliable enough to allow for the objective defining of CFS. Diagnosing chronic fatigue syndrome involves a long and difficult process. Because there are no laboratory abnormalities sensitive or specific enough to point towards a diagnosis, physicians have to firs rule out any other organic causes for the symptoms described by patients. One notable aspect is that, prior to the onset of the illness, patients report being active, successful and highly functioning. The onset of chronic fatigue syndrome is most often abrupt and involves a viral-like illness. Patients present with swollen lymph nodes, fever, respiratory symptoms and fatigue. Although these initial symptoms resolve, patients experience increasing fatigue to a point where day-to-day activities can no longer be carried out normally. Impairs the patient’s life in a way in which social, occupational and personal activities can no longer be performed. 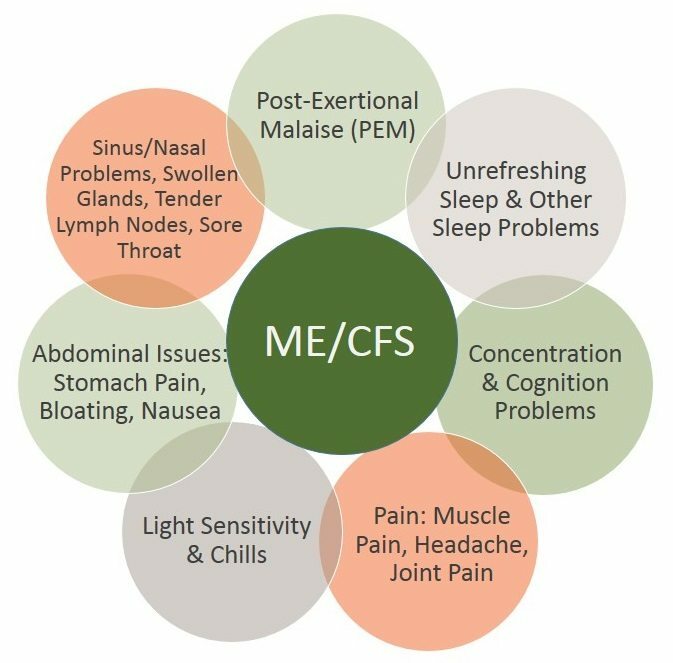 CFS patients often experience a number of symptoms which fibromyalgia patients also report, from mental cloudiness to pain, fatigue, sleep disorders and symptom aggravation with activity. 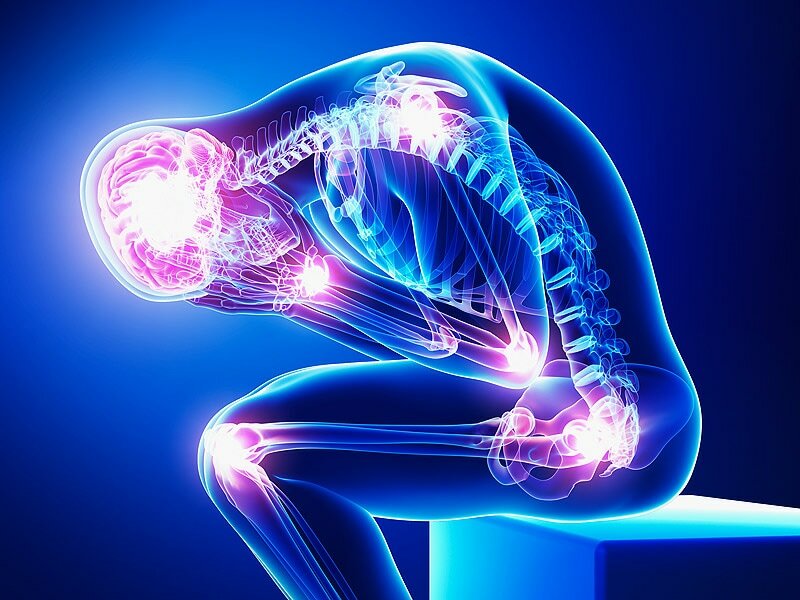 This resemblance has been suggested to be caused by a yet undiscovered connection between fibromyalgia and CFS. Additionally, significant numbers of CFS patients are later diagnosed with fibromyalgia. A cure doesn’t seem to be on the horizon and despite management, the majority of patients require substantial recovery times and experience partial improvement. Recent medical guidelines suggest that treatment should not only focus on medically addressing the sleep deprivation, pain or depression. Graded exercise as well as cognitive-behavioral therapy are essential components of a chronic fatigue syndrome treatment plan. But most importantly, experienced physicians must acknowledge the truthfulness and validity of the patient’s symptoms. Numerous clinical trials have attempted to assess the efficiency of cognitive behavioral therapy alongside graded exercise therapy, however, these have been shown to perform moderately. Yet even with a combination of the possible therapies patients can undergo, full recovery is rarely a reality. Find an understanding and capable doctor. Consult the ME Association’s database to identify those physicians who specialize in chronic fatigue syndrome. Accept your limitations. Being frustrated is natural. The starting point of your illness is not when the diagnosis has been made, and because of the sudden onset, you may feel discouraged because you are no longer capable of performing as you once did. Also, do not allow your family and friends to add to the anxiety you are already feeling. CFS is not fatal and patients learn to cope with their situation. Find other chronic fatigue syndrome patients to connect with. Most CFS sufferers feel isolated and finding someone who shares the same fears and is going through the same ordeal may be an invaluable tool. Search the internet, phone books or your local paper to find support groups near you. Set realistic improvement goals. While recovering, many patients lose track about the fact that they need time for things to begin shifting towards what used to be normal before the onset of the disease. Set modest goals and celebrate when you achieve them. Unrealistic ones will only cause disappointment and interfere with your progress. Address employment issues. Though employers are often reluctant when it comes to ill employees, you can discuss the possibility of slowly resuming your work duties, working part time for a while or modifying your duties. Discuss pain control with your caring physician. Pain management is difficult and CFS patients report getting poor pain relief when using conventional pain medication. Tricyclic antidepressants often relieve pain, however they must be included in your treatment plan by your physician. Although there is no such thing as a chronic fatigue syndrome diet, there are some modifications which could result in increased energy levels and better management of the illness. A healthy diet including fresh fruit and vegetables, staying away from refined and processed foods (especially carbohydrates) should help with the management of CFS. You should also consider taking vitamin supplements, especially vitamin C.
Even with proper treatment, many patients experience an assortment of problems because they are constantly ill: financial hardship, low self-esteem, anxiety, fear for their future. But maintaining a positive outlook is key. Chronic fatigue syndrome is manageable and those patients who have managed to deal with their condition can attest to that. So rely on positive feedback and remember that your work will benefit you as you progress.